Imagine being at the baths and a 7.1 magnitude earthquake happens. That is exactly what happened at Menfriends Cruise Club and Sauna in Christchurch, New Zealand. Talk about the earth literally moving during a hookup! 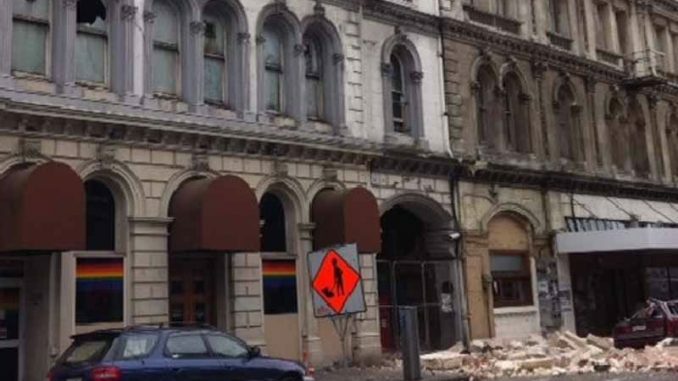 Menfriends Cruise Club and Sauna co-owner Stuart Yeatman tells the Gay New Zealand that there were "luckily no more than a dozen patrons at the three-storey venue when the quake hit at 4.35am. There was general disbelief when it hit," he says. "It was very violent and went on and on for around a minute and a half. Everything was moving violently, there was loud noise and it was very shocking for staff and patrons." Though the power went off instantly, the emergency lighting kicked in. Allowing quick evacuation. Most patrons managed to get dressed and exit the premises. "They evacuated the place smoothly and I am very impressed with how they reacted. No one was injured in the earthquake or the evacuation." It might be a week to ten days before reopening, as structural engineers are evaluating the safety of the building. For now only business owners and their trades people are allowed back in. Click to the clubs official Menfriends Altsexcafe Facebook page for updates.